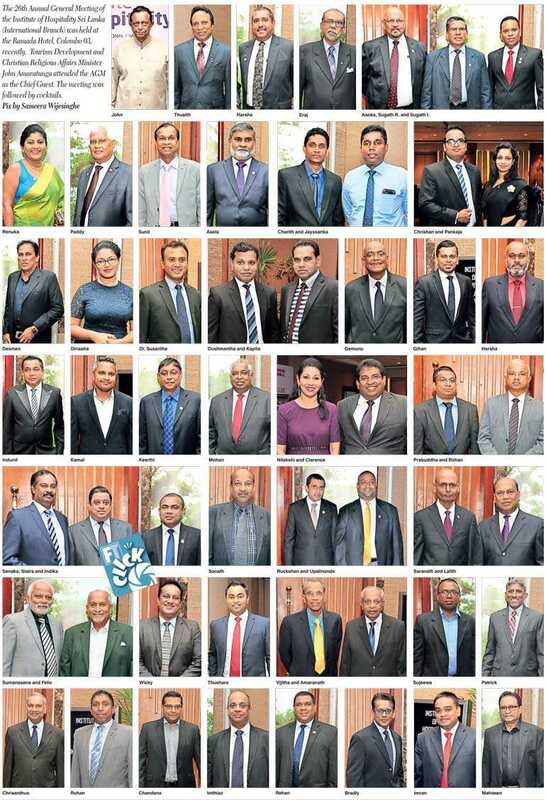 The 26th Annual General Meeting of the Institute of Hospitality Sri Lanka (International Branch) was held at the Ramada Hotel, Colombo 03, recently. Tourism Development and Christian Religious Affairs Minister John Amaratunga attended the AGM as the Chief Guest. The meeting was followed by cocktails.